We get this question a lot, so we figured we’d take this opportunity to answer it. Something to keep in mind: we’re answering it in the form of “what such an attorney should do.” While there are plenty of attorneys in Los Angeles who are more than willing to take your personal injury case, not all of them are truly qualified to do so. Moreover, they may not give you and your case the attention they deserve. Alternately, they may say they have a level of experience that they don’t. In this blog, we’ll discuss what we do, how we do it, and ultimately how a personal injury attorney in Los Angeles from our firm can help. To be clear, it starts with you. We don’t track you down, our clients come to us. The idea of the “ambulance chaser” is something that’s in popular culture but doesn’t really exist in the real world anymore. We always start our cases with a free initial consultation. The key word to this is “free.” We know it’s not easy to reach out to an attorney, particularly when you’re injured. That’s why we make the process as simple and easy as we can. When you are looking for an attorney, we advise you to give us a call for this consultation. When we say “consultation,” that’s a very fancy word for “conversation.” We sit down with you and just hear your story. It’s very informal, friendly, warm and above all things: safe. There’s nothing easy about dealing with a personal injury. When it seems like someone may have harmed you, and you’re due compensation for your injury, that can make it even more difficult still. So, we want you to know that you’re safe to tell us all about. There’s no downside to this. The worst that can happen is that we’ll tell you we don’t see a way that we can help. However, we can also take your case, and then begin the journey towards getting you what you deserve. The end goal of what we do is that compensation. It can come in the form of settlement. We can achieve it through negotiation or through winning in court. This compensation can do quite a bit: it can pay for any medical bills that you might have. Indeed, it could cover hospital visits, doctor trips, any rehab, medicines and more. We may also be able to help you to get compensation for any wages you lost due to your injury. So, if you weren’t able to go to work for a period of time, we could get you money to make up for that. Sometimes, unfortunately, our clients aren’t able to return to their jobs in the same capacity they were before their injury. In other cases, they aren’t able to return to work at all. When these circumstances occur, we can also work to get you compensation for wages you would have made had you been able to continue working as you were. As it’s your injury, you shouldn’t have to pay for all of this. Speaking of “not having to pay,” we work on contingency. That’s a big word that means “you won’t actually have to pay us out of your pocket.” Instead, what it means is that we’ll get paid out of your eventual settlement. This means that you won’t have to pay us as we go through representing you. This can be a great system for our clients, as it means that they won’t have to use their own money to pay for us. It also serves as a tremendous motivator, as we don’t get paid unless we win money for you. Often, we contrast this with the insurance company: they only make money when you don’t make what you had hoped. We make money only when you do. Many of the cases we take start with an investigation. This is done for a simple reason: to gather evidence. That way, we can figure out exactly what happened as well as who’s at fault. This investigation can cover quite a bit, should it have to: pictures of where your injury took place, police reports, other kinds of official reports, tracking down witnesses and getting their statements – that’s just the tip of the iceberg. Sometimes, cases have lengthy investigations while others may only need a bit of the above evidence. Here at the LA Injury Group, we have the kinds of investigators and resources to make sure that you’re well represented. We’ve heard horror stories from some clients about talking to other attorneys at other law firms who don’t have our same resources. So, when the insurance company or anyone else goes against them, they sure aren’t intimidated or afraid. They can simply use resources and money to swamp the smaller law firm, essentially buying their way out of having to provide the compensation that the injured party deserves. However, at LA Injury Group, we can afford the top investigators, experts, and even accident reconstructionists if it comes to that. We even have relationships with medical providers that we trust. They can help you to heal and get better on contingency; too, should that be necessary. Their payment would work the same as ours: they don’t get paid until the end of the case, when we get your settlement. It’s one more way that we can help our clients out if they need it. One thing we can absolutely do for our clients is to deal with the insurance companies on their behalf. 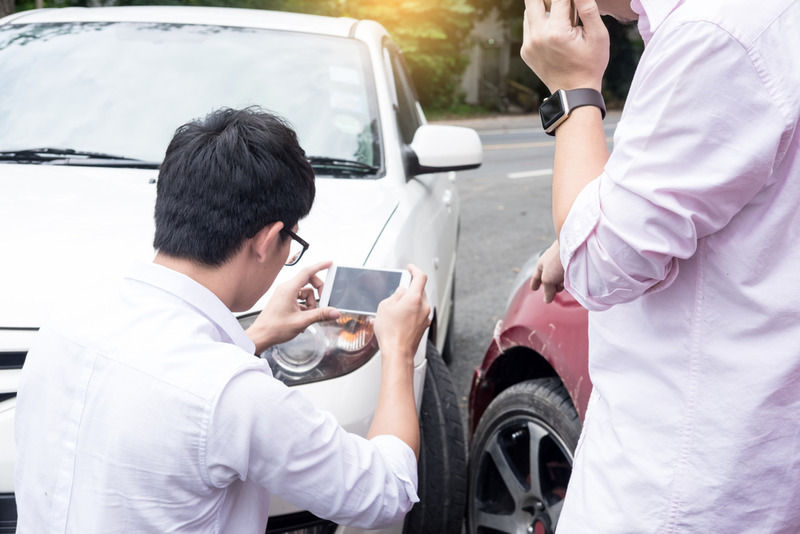 The insurance company is always looking for ways to make sure that you get less compensation for your injury. Indeed, their entire business model is built around this. So, we always recommend that you let us know when the insurance company contacts you. Once you’ve hired us, the insurance company will have to go through us first. This cuts down on the chances that they’ll try to hustle you. We’ll negotiate with the other side to try to get you the best deal for your injuries. This is one of those areas where our experience really comes in handy. We’ve won so many enormous settlements for our clients, and now we can use that experience for you. The other side knows that they have to negotiate with us in good faith, because we have a sterling track record in court as well. So, they know that if they don’t make us a good offer, they’ll have to deal with us in court. Of course, we make sure to check in with you every step of the way. To the LA Injury Group, each of our clients are a kind of family. We take the responsibility of getting you your compensation very seriously. So, we don’t just bring you in for an initial consultation and then drop off your compensation at the end. We stay in touch throughout the process, seeing how you’re doing, how you’re healing and holding up. When the other side makes an offer or something happens in your case, you’ll know. We believe strongly that the more informed our clients are, the better decisions they can make for their case. This is just a fraction of what we do. At the end of the day, a personal injury lawyer from our firm works to get you the compensation you deserve for your injuries. Everything we do is in pursuit of that, or is one more step towards making sure that that happens. When you’re ready to start the process, give us a call at (818) 210-4558. We’ll set up a date for an initial consultation. From there, we’ll let you know exactly how we can help.